Save over 25%! Whether you're at the park or at a game, promote your business with a cooler bag and stadium blanket. 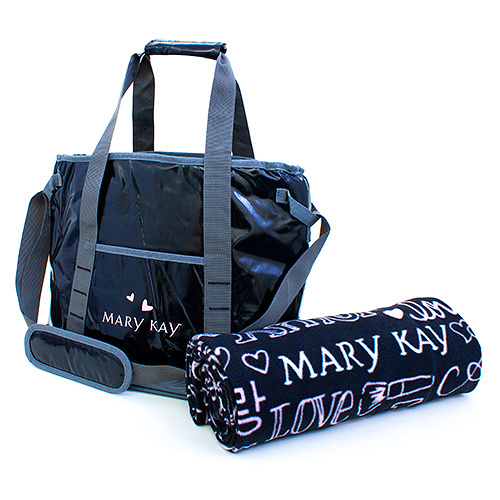 This combo includes the Mary Kay insulated cooler bag to keep your snacks and drinks cool and a Stadium Blanket to keep you snuggly warm. Cooler Bag Size: 16" x 13" x 6"
Stadium Blanket Size: 50" x 60"